The aim of this study was to analyse a possible correlation between the tibial slope and range of motion (ROM) after implantation of the low-contact-stress (LCS), mobile-bearing, total knee arthroplasty (TKA) after a minimum follow-up of ten years. Eighty-three TKAs in 66 patients were investigated in this retrospective correlation analysis at a minimum follow up of ten years. Out of these 66 patients, 50 were women (76 %) and 16 (24 %) were men. The average age of these patients at the time of the examination was 76 years [standard deviation (SD) 11 years, range 37–95 years]. A lateral X-ray was taken at follow-up in order to analyse the tibial slope with respect to inter- and intra-observer agreement. ROM was measured and correlated with the tibial slope. The mean active ROM was 96.1° (SD 18.8) and the mean tibial slope after four measurements was 7.65° (SD 4.23), with substantial inter- and intra-observer agreement. We found no significant correlation between tibial slope and ROM in patients with a minimum follow-up of ten years [correlation 0.196 (p > 0.05) and 0.152, (p > 0.05), respectively]. 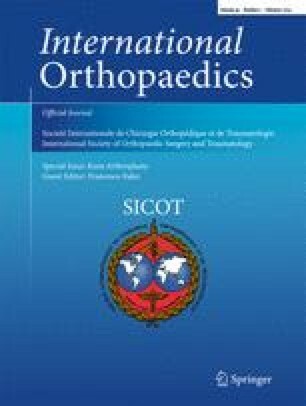 Alteration of the tibial slope does not significantly influence ROM after implantation of the LCS TKA at a minimum follow-up of ten years. We conclude that the tibial slope is not the primary influencing factor for ROM in patients ten years after primary TKA and believe that it should not substantially be altered during surgery.